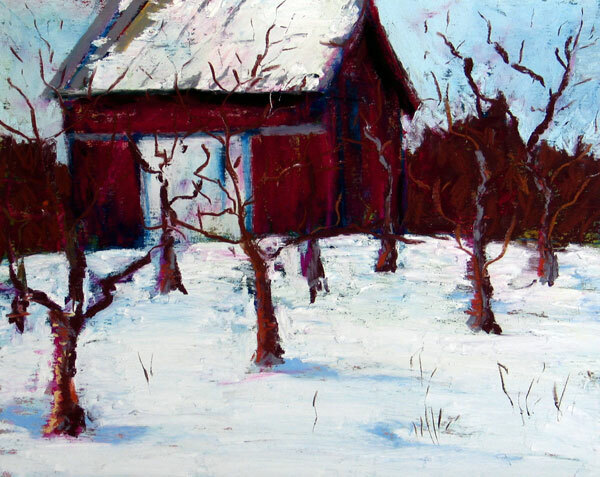 Art, wine and small plate delectables will warm the night as the Glen Arbor Art Association, The Homestead, and Leelanau Peninsula Wine Trail team up to offer Art From Michigan’s Wine Country on Friday, February 6, 6-8 pm. Now in its seventh year at The Homestead’s Mountain Flowers Lodge this fun winter event kicks off Leelanau Peninsula Wine Trails “Taste the Passion” weekend. The Friday night GAAA benefit features an art exhibit and sale of work by local artists, wine from Leelanau wineries, and a small plates menu designed by The Homestead’s chef. Ticket price is $25 per person with advance reservation. Entrance fee includes one glass of wine, food stations with small plates, and coffee. Additional wine is available for $4/glass or three glasses for $10. Call The Homestead, 334-5100, by February 4 to make an advanced reservation with will call ticket pick up at the event. At the door price is $30 per person the night of the event. The invitational art exhibit and sale offers recent original works by Bob Ashmun, Jane Batteiger, Linda Alice Dewey, Michelle Hart Jahraus, Christine Nettleton, Joan Richmond, Lisa Wilkins Schulte, and Sally E. Wille. The artists will be on hand to discuss their work. A portion of each ticket and painting purchase supports the Glen Arbor Art Association programming including a scholarship fund. These programs provide arts opportunities for many families who would not otherwise have them.